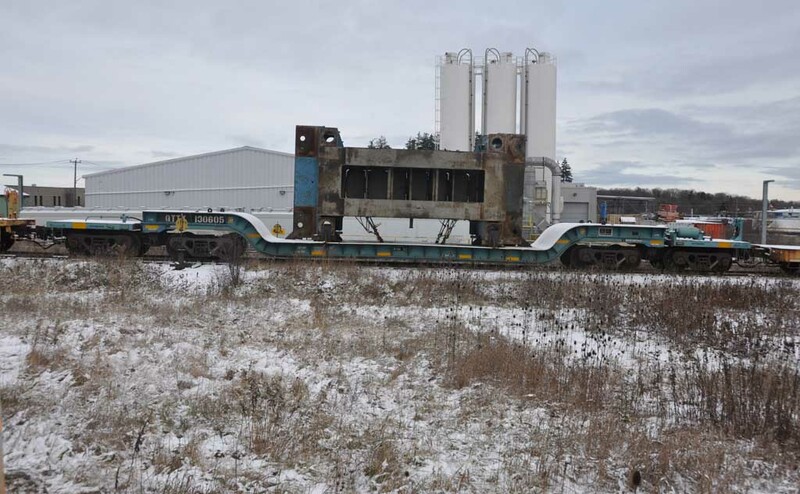 QTTX 130605 waiting to be lifted at Kitchener Yard en-route to Jonesville, Michigan. 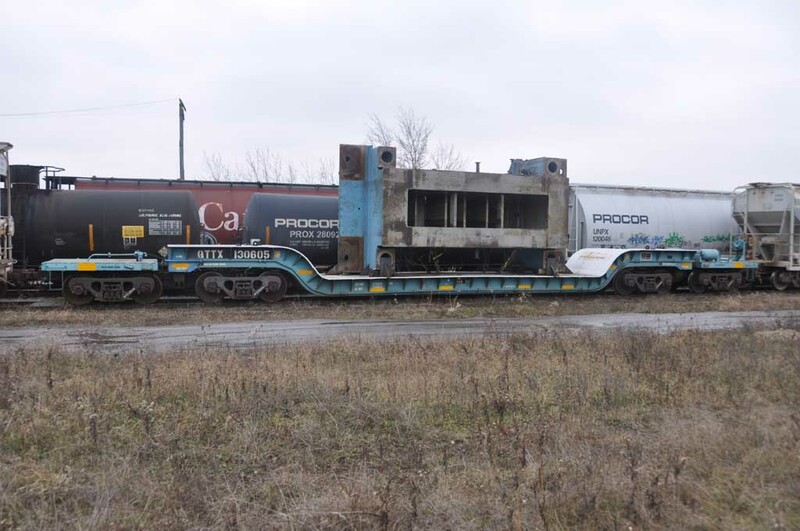 QTTX 130605, loaded with part of a press leaving former Budd Automotive/Kitchener Frame plant which closed in 2009. The balance of the press is loaded on QTTX 131203 and QTTX 130729. 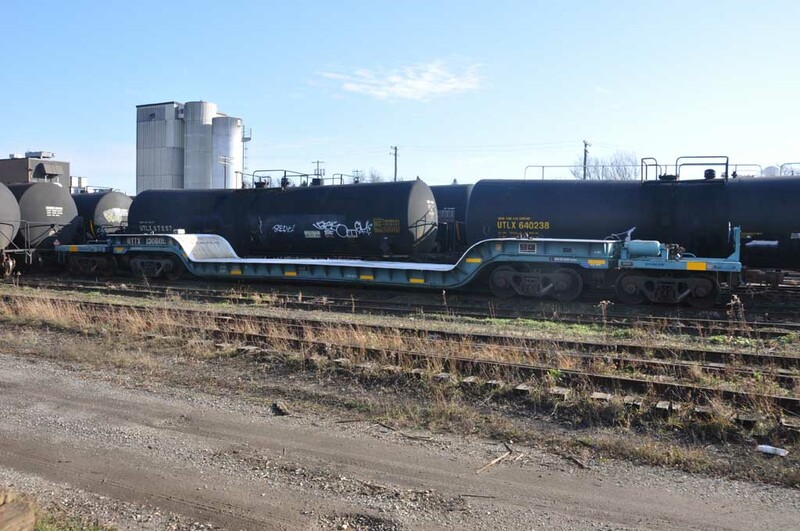 QTTX 130605 in Kitchener Yard waiting to be delivered to the former Budd Automotive/Kitchener Frame plant.